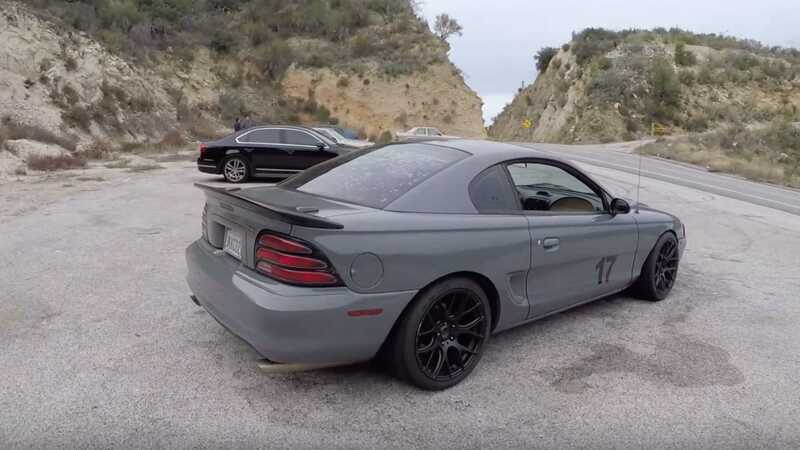 ‘I don’t even know what to call this thing,’ bemuses Zack Klapman of The Smoking Tire, placed behind the wheel of an otherwise unassuming 1994 Ford Mustang GT. ‘You walk up to this thing and it looks like an aggressive, worn-out Mustang, but underneath is all-new parts’. Except, those parts aren’t the components you would normally find on a standard fourth-generation Mustang. In fact, literally nothing from Ford's Dearborn plant remains bar the interior and body – instead, the running gear comes direct from Japan, with all manner of upgrades attached. The original engine offered out a now-paltry 215bhp, powering the 3300lbs pony car along with all the grunt of a diesel generator. Such performance woes are now terminated. Disposing of the spent 5.0-litre V8, you’ll now find a Toyota 2JZ USDM lurking under the hood, mated to V160 six-speed transmission. That’s good enough for 350bhp. Yet, all that extra clout isn’t the most impressive aspect of the venture. Unlike so many 2JZ powered projects, this beast is fully road legal in California. 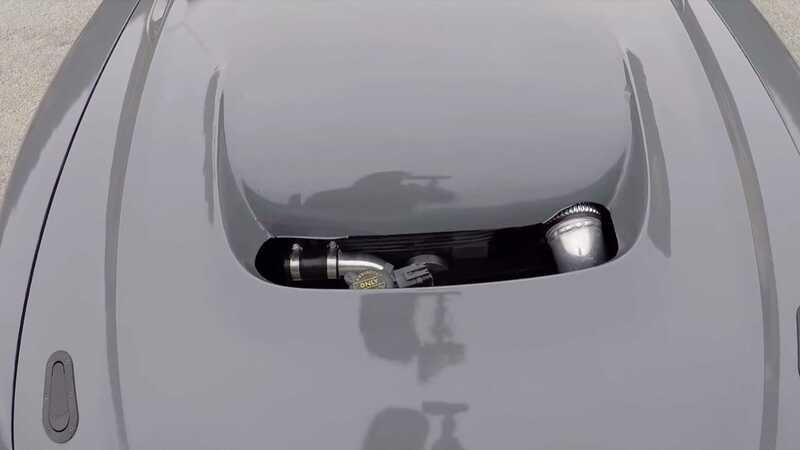 No mean feat, this achievement is worthy of respect alone – having trumped fiendishly strict emissions testing. Hear that sound? 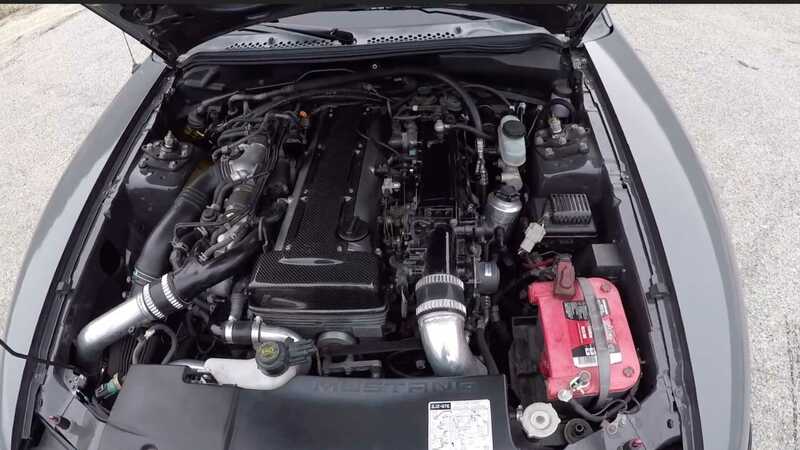 The majority of Mustang purists may currently be sharpening their pitchforks, but with such an aggressive exhaust note, the Japanese/American hybrid proves that replacing V8 grunt with a boosted legend from Japan isn’t the blasphemous act traditionalists would have you believe.